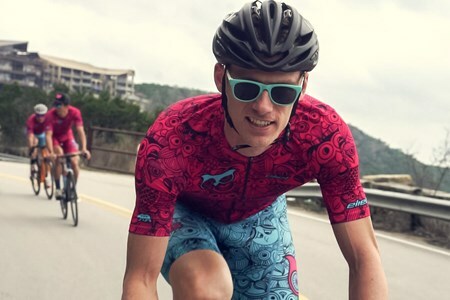 Night Owls are forward-thinking bike racers who push the status-quo based in Austin, TX. Meet the men that fly through the night. 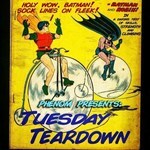 Joined UT Austin Cycling Club. 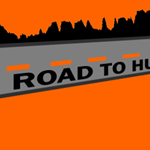 Though the years, visited all of the Hawaiian Islands on the bike - camping, riding and climbing the volcanoes. Got the racing bug in 2016 after visiting Mellow Johny's MOTR group ride. 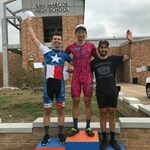 First race was 2016 Cat 5 Meegan Baab RR - never looked back since. Code monkey behind Thea.com & StructuredDomains.com. Throughout high school and college, I used bikes as a means of transportation, and learned how to wrench, almost exclusively on vintage bikes. I started riding as a hobby in 2013, ... moreafter starting my first job out of college. 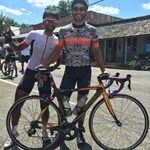 The hobby grew into a passion, as I continued to test my limits on the weekends and after work, joining any group rides that I could find in East Texas. I started racing later that year, won the state road race as a cat 5, and have since become a cat 2. 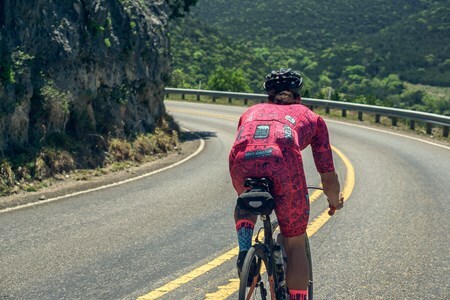 Moving to Austin was a huge opportunity for me to improve as a cyclist, with so much talent, mentorship, beautiful terrain and racing experience within easy reach. I've done two ~2000 mile bicycle tours across texas and the west coast, which were great adventures and life experiences that I'll remember for a long time. 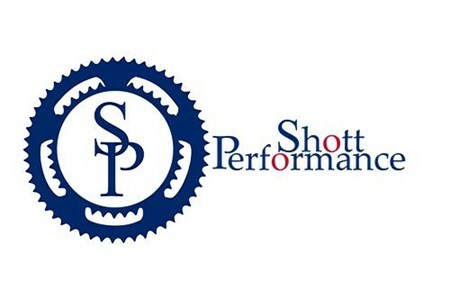 Over the years, I have also been a student of cycling, having self taught skills as a mechanic/gearhead, learning about nutrition, training, and strategies in racing, which I study and share through my youtube videos. Cycling has become a lifestyle for me, as well as a source of friendships, adventures, and personal growth - both mentally and physically. 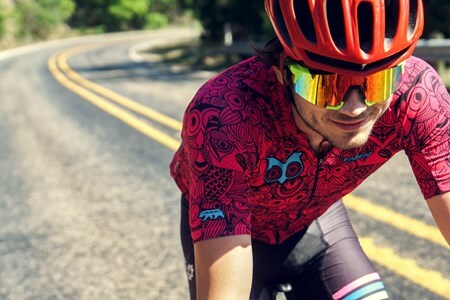 I am excited to continue to grow as a cyclist, and work with my Night Owls. When I'm not on the bike, I am working towards a PhD at UT-Austin, looking for ways to make better batteries. I ride bikes.. Growing up in San Antonio, I got my first bike 11 years ago from a pawn shop as an alternative to riding the bus everywhere. I fell in love with the freedom of cycling, ... moreand have been riding almost every single day since then both for fun, and because it's my only means of transportation. My life revolves around my bikes. 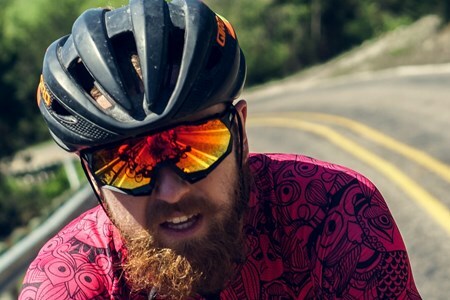 I slowly became stronger and pushed myself more and more, regularly riding from SA to Austin, Corpus, and other parts of Texas for six years, eventually going on a 2600 mile bike tour across the Western US. 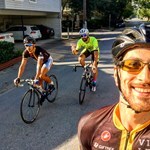 In 2013, I moved to Austin and started to do group rides. Before this, cycling was always a solitary experience for me. 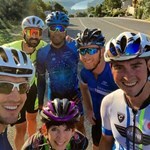 Riding with other cyclists showed me my true strength, with my fellow riders encouraging me to start racing. Three years later, 2016, I did. One year later, I'm a Cat 3, and I'm not stopping until I'm a pro. By day I'm a classically trained French Chef with a culinary degree... By night I'm an owl flying not on wings, but on a bike. Riding bikes around the neighborhood with my friends was a regular part of my childhood. At age 16 I began taking out my old 26” beater mountain bike for long rides, seeing how far ... moreAnd how fast I could go. These long bike rides allowed me to push my body and experience a sense of real freedom. Later that year I would use the money I saved from my first job to buy a Specialized Allez road bike. Soon after buying my first road bike I joined a local jr cycling team where I was fortunate to have a great community of experienced racers to teach me the fundamentals of road cycling. 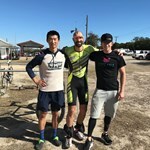 At age 18 I attended Lees’ McRae College in North Carolina on a cycling scholarship where I would spend two years racing, and working towards earning my degree. In 2016 I graduated from Texas State University in San Marcos earning bachelors degrees in Exercise and Sports Science and Education. 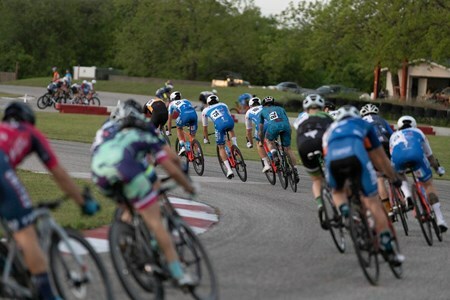 I currently balance my racing hobby with my job as a coach for Boneshaker Project, an Austin based non profit which teaches bicycle fundamentals and safety to local kids and teens. 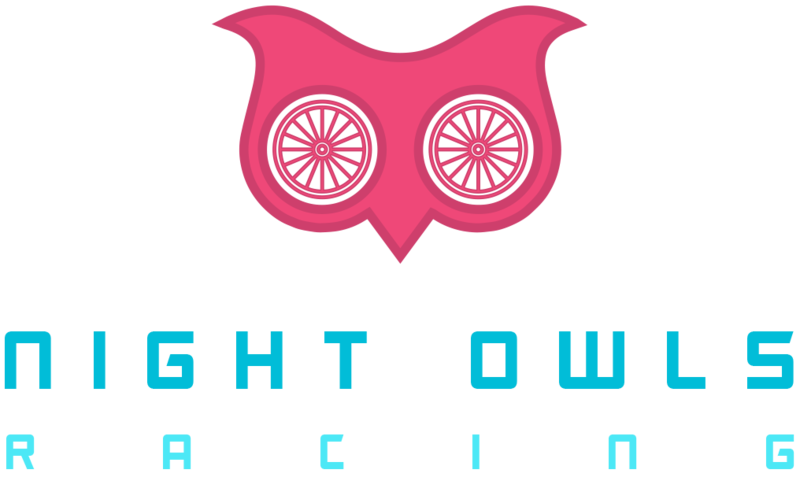 I am excited to begin my 10th year of bike racing with the night owls crew. I know 2018 will be a great year of racing bikes with good friends! 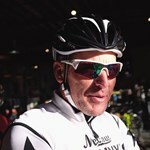 I grew up in Davis, CA the home of the Cycling Hall of Fame and a hotbed for cyclists. As a Junior racer I was mentored by Steve Larsen, a former Team Motorola team member. Training ... moreand racing from a young age against cyclists many years older I developed my tactical racing intuition. And while training in the flat central valley of CA I developed my sprinting kick. However, it was in the hills of the coastal range, and the infamous Cardiac Hill in Napa County where I was truly in my element as a Junior racer. I took 10 years off from racing to compete as a NCAA collegiate swimmer for Stanford, where I was on an American Record setting sprint relay, and became an 8 time All-American in the pool. I never gave up my passion for cycling though, and utilized my power to weight ratio to crosstrain up Old La Honda climb outside of Palo Alto. 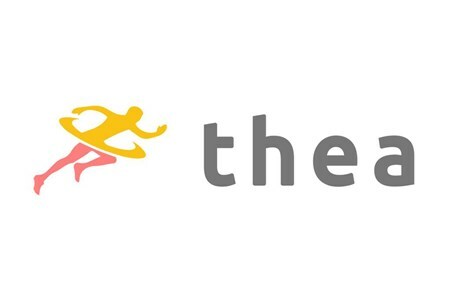 I am currently in grad school at the University of Texas at Austin, studying to get my PhD in Exercise Science. My research and interest involves power training on the bike and I love being able to apply my studies to racing. I returned to racing last year and am excited to see where I can go with it! Born and raised in Montreal Quebec, this Canadian of Italian descent backs down from nothing. 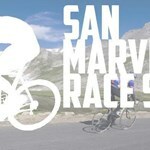 If it's a hard climb, a tough wheel to catch or a sprint finish, he's always up for the ... moretask. 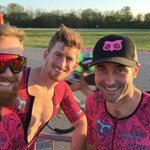 Partaking in competitive sports since the age of three, this third year cyclist undertstands that it is discipline, honest effort and teamwork which propels an athlete to stardom. 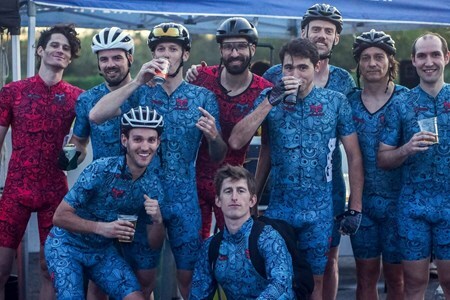 A proud member of NightOwls Racing for brotherhood binds the hearts of men, saddle up. 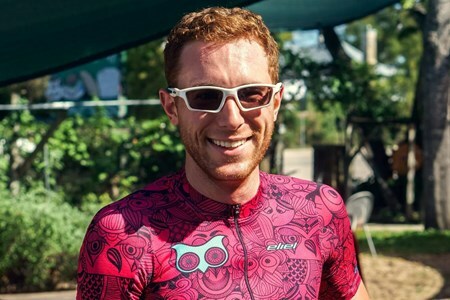 Andrew picked up cycling after a devastating knee injury suffered playing ice hockey as a way to rehab and eventually migrated to triathlon, realizing that the cycling was the most ... morefun and rewarding aspect of training. 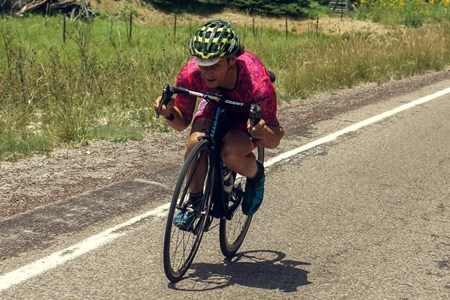 Andrew just completed his second full season of racing and is looking for continued improvement, especially in criteriums as a category 3 racer. I've always been very active on bicycles - My childhood summers were spent roaming Corvallis, Oregon with friends, always racing from point to point, with the leader always taking ... moretime to moon the chasers. While racing Track/Cross Country and studying business at Portland State University, I developed a love for charging through Portland traffic on my Look HM KG386. 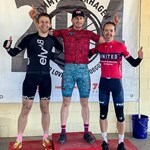 However, it wasn’t until my July 2017 relocation to Travis Heights that I became interested in competitive cycling, at the encouragement of my awesome roommate Steve. 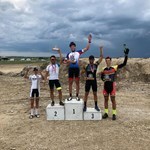 In early August I purchased my Felt AR5 and have been hammering the roads of Austin since, strengthening my desire to re-enter the world of competitive athletics with each pedal stroke. I started riding in 2014 and from the moment I threw my leg over the bike, I fell in love. My competitive nature accelerated my move threw the ranks to my position as a Cat 2. 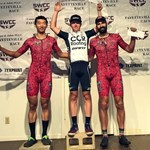 I've ... morewon several series championships in one of the most competitive series in the country as a Cat 3 and 4. (2014/2015 Austin Texas Pure Driveway Series) Due to injury I sat out the 2016 season and as for 2017, I've found that it takes a team effort to move to the next level and thats how I've come to be a member of the Night Owls Racing Team. Kuya always had bikes around him growing up. The story goes back to fixing his own flat tire at age 6. This mechanically inclined behavior ended up with a Ph.D. in mechanical engineering ... more(Robotics). 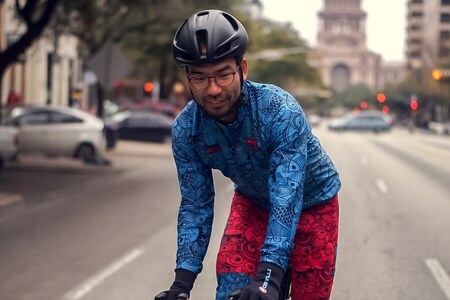 He found the excitement of competitive cycling and group rides after moving to Austin in October 2017. He has been racing since the mid-season in 2018. I've always been into fitness. In high school it was powerlifting and football. Then I got into rock climbing during college at the University of Arkansas. It wasn't until a grad school ... moresemester in Beijing that I rediscovered my love of cycling. I got a bike for transportation and practicality, but ended up falling in love. Riding brought back that feeling of freedom: taking my bike out after middle school and meeting up with my friends. My bike could take me anywhere I wanted. Cycling is the ultimate sport for me because I can combine my competitive nature, that feeling of freedom, and the camraderie of shared experience. 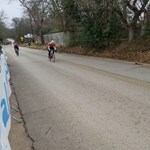 I've been fortunate enough to land in Austin, Texas and found a place in the bike racing community. It really is a community bonded by a shared passion. 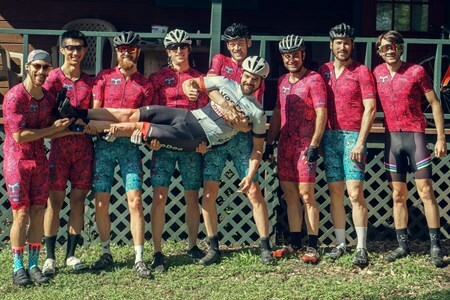 I've met some of my closest friends through cycling. Racing on the road now for about 5 years, I've made it from a category 5 beginner to category 2 elite. Each step is progressively more competitive requiring more training. As a category 2 racer, I've found that racing solo is not enough. You need a strong team around you in order to make it to a category 1, and I couldn't be more excited to be racing with a great group of guys in 2019. "It is by riding a bicycle that you learn the contours of a country best, since you have to sweat up the hills and coast down them. Thus you remember them as they actually are, while in a motor car only a high hill impresses you, and you have no such accurate remembrance of country you have driven through as you gain by riding a bicycle." 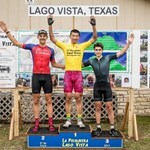 I'm a 27 year old working-class athlete who relocated to Austin, Texas at the beginning of 2017. My love for riding was found when I was attending college at the University of North ... moreTexas in Denton. I was able to foster a fond love of the bicycle, the community, and competition through collegiate cycling. I was the interim president of UNT's cycling club for season when it was in it's infancy, the club has now grown so much and it's been a privilege to see the other kids continue to build upon it. I've been riding bikes for about 4 years now, and I've always done so for the pleasure of riding just to ride. Racing has always come secondary, but I'm now ready to get serious about racing and about training. Watch out world! I've been picking up running when I'm not on the bike, and hiking and bikepacking when I can find myself in the mountains or the wilderness. I've been working in the state government IT industry for almost 2 years. Austin is home now and bikes are life. Born in Boston, Massachusetts and after years of moving all over the east coast, I ended up in the wonderful state of Texas! Orginally I was a runner throughout middle school, highschool, ... moreand the beginning of college, but due to an injury I took up cycling which I soon found a new love for. 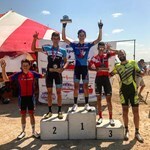 I have been competing on the bike for about 4 years now and riding for about 5 and a half. In 2015 I had a serious crash which took me off the bike. 2016 came around and I decided to focus on finishing up school at Texas State, getting my head screwed back on and figuring out if I wanted to continue with my passion! 2017 was about getting back into it, but I just didn't quite have the mental edge back that I wanted. When 2018 hit, I definitely felt myself getting stronger, but I still had a little self doubt which, in the end, prevented me from getting on to the podium, as much as I wanted to. This year has been off to a great start. I have been feeling stronger than ever and I can't wait to get going with the guys and accomplish all of our goals as a team! Names Dixon but he is better known as Darth Dixon. 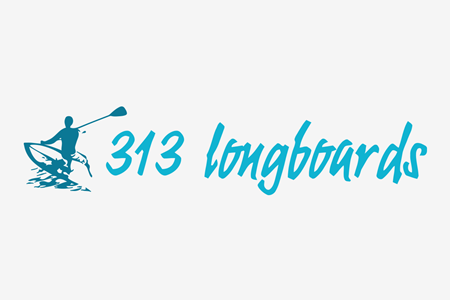 As a former professional Downhill Skateboarder, he has a natural nack for speed. He picked up a bike in August of 2016 as a rehabilitation ... moretool from a bad wreck racing. And he quickly fell in love with the bike. Shortly after he realized the bike was fast, really really fast! And with racing in his blood, and his body finally recovered. There was only one thing left or him to do... Get back racing! And he did just that. He quickly found the Driveway Series and knew he had found the thrill he was looking for. The love for fast, tight bike racing had sunk in. With his heart full and eyes set on the target. 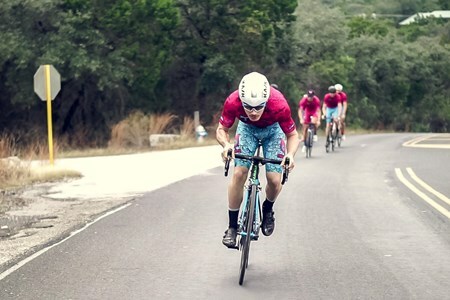 He set out to see what force he can disturb in the the ATX cycling scene. Meet the businesses that make it all possible. 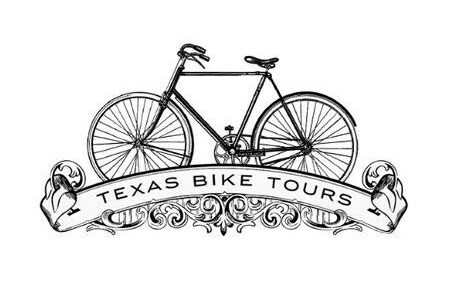 Texas Bike Tours is based in Austin, TX. We create personalized cycling and culinary experiences. Rides include mountain biking, road cycling, city cycling, and more. This is the bike ... moretour you have imagined and we create. Building Stronger Athletes. 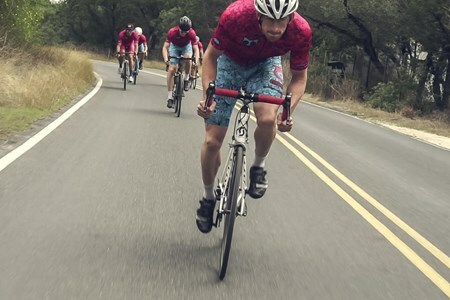 Endurance Coaching for cycling, running, and triathlon. 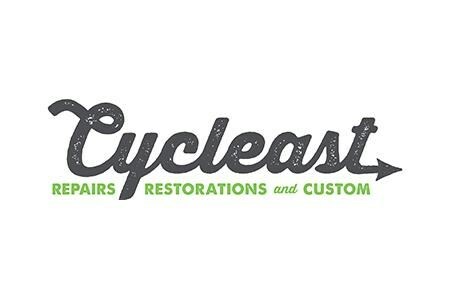 Cycleast is your neighborhood bike shop specializing in repairs, restorations, and custom bikes. 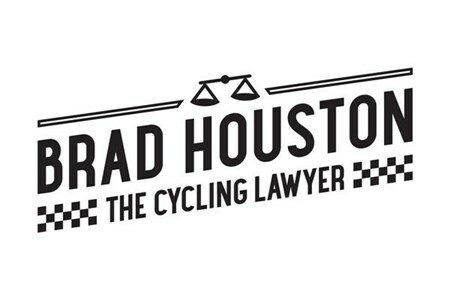 Brad Houston is an attorney with a unique background of legal experience helping injured people, with a special emphasis on injuries from motor vehicle/bicycle collisions. Mr. Houston ... morestarted his legal career with the California mega-firm of Gray, Cary, Ames & Frye (now DLA Piper) doing direct representation of large corporations, including representation involving personal injury defense. 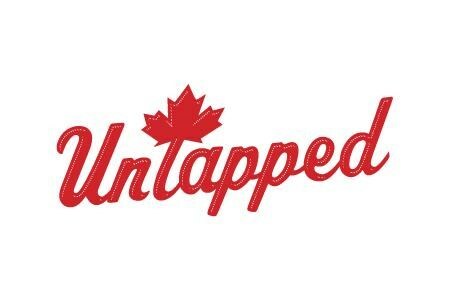 We’re bringing tasty and nutritious maple syrup to sports nutrition and everyday living. We keep it simple and always delicious. #mapletothemasses! 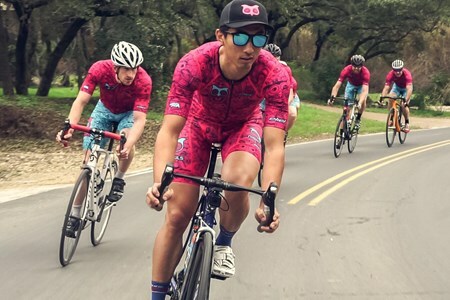 Hyperthreads is proud to support athletes that have made cycling their passion, lifestyle and career. 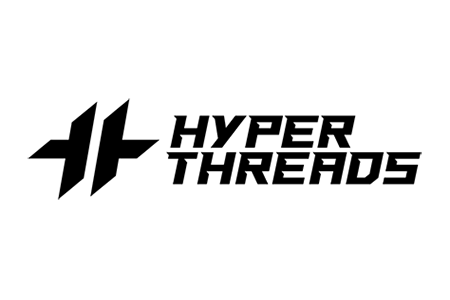 Hyperthreads is an Ogden, Utah-based endurance and athletic wear provider with ... morefast turnaround, no order minimums, and a personalized design experience. 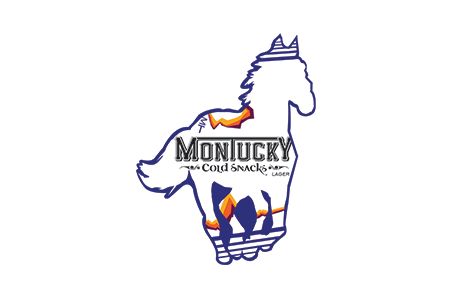 Refreshing, light beer for pow pow rippers, pony riders, gator wranglers, and badass do-gooders. 8% back to local causes. We'll train in the dark if we have to.